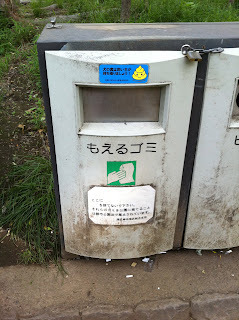 Yesterday in the park, Pippi and I noticed this perky little sign affixed to the can designated for burnable refuse as we tried to stealthily slip a loaded poo bag into said bin. Illustrated with a pile of stool adorned with a smiley face, it states that dog owners are to take their pet's droppings home for proper disposal. Amazingly, most people in Japan seem to do just that. 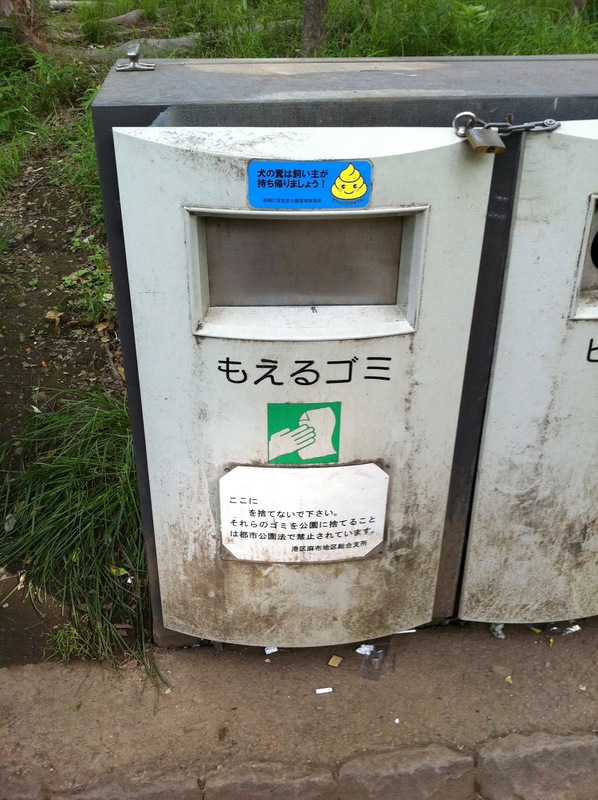 Unlike in some U.S. cities, there are no fines for not picking up pet droppings. There is no need for monetary punishment since the social stigma of behaving otherwise keeps most people in line. I guess I have not gone fully native yet.